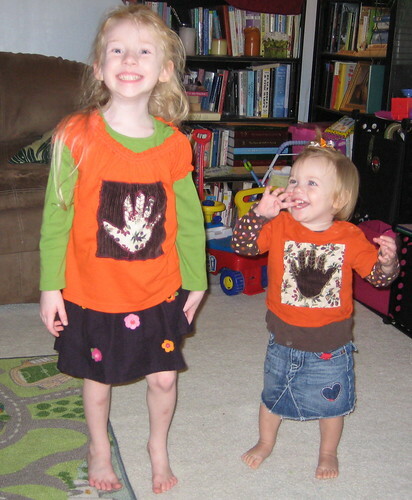 This post is also from the past as I made these Thanksgiving shirts last year. I think they're going to fit again this year too so we may not get new shirts until next year! 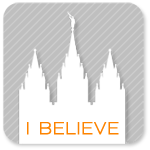 Last year I bought orange shirts planning to make the Halloween pumpkin shirts I made this year. I didn't get to it in time so I made Thanksgiving shirts instead. My little one's shirt was made out of an 6-9 month boys onsie. I cut off the bottom, hemmed it and covered up the logo with the hand turkey. 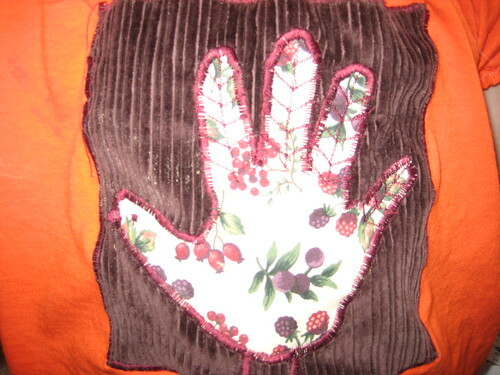 To make the turkey on their shirts, I traced their hand and cut it out to make the pattern. 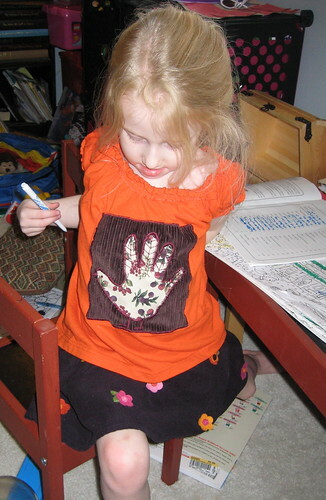 Then using a scrap of fabric I cut out the hand and a square to back it up. The turkey needed a little contrast to help it stand out. I appliqued the square and hand on with my zigzag stitch and then added the details of feathers, eye, beak, legs and feet. I reversed the fabrics on the second shirt just for fun and to make them a little different. I love how it's their hand print! I need to get some new ones done for this year-ours don't fit from last year ;) Wish we were with you for Thanksgiving!